We had several snow falls this week accompanied by bitter cold. Trips to the compost heap were about all the garden visiting possible until today when the temperatures have risen to around freezing. 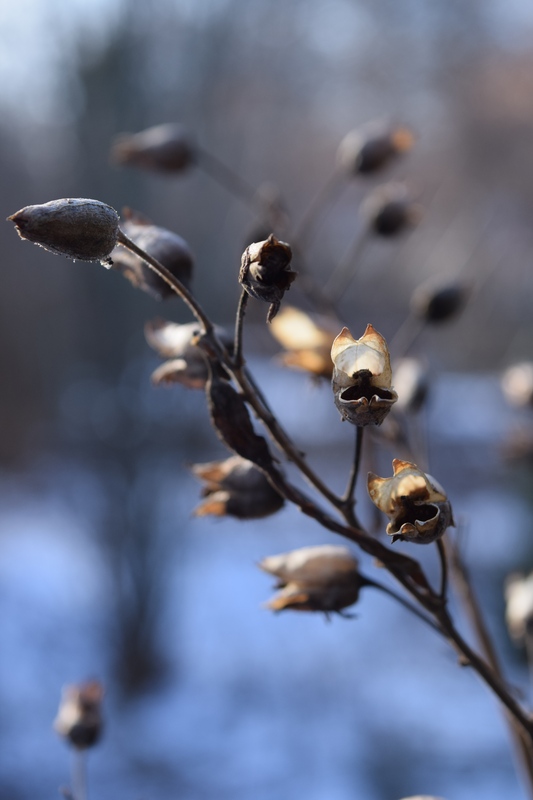 The winter garden is shades of sepia and white. 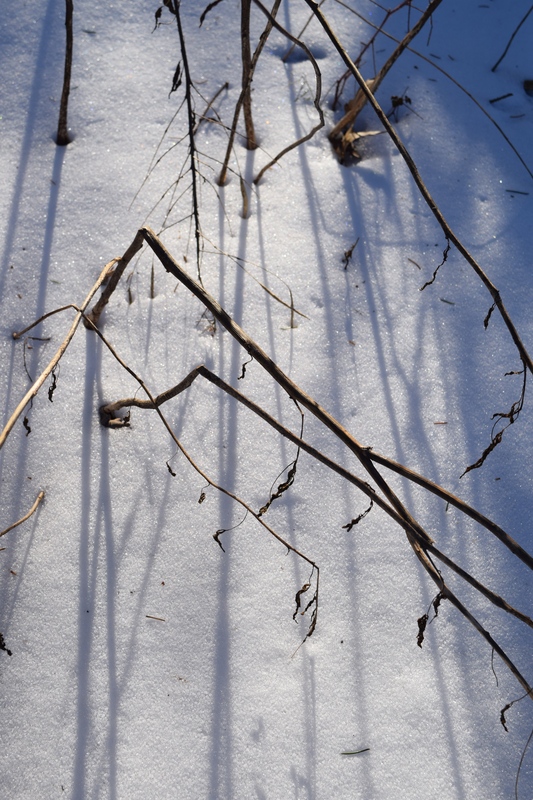 The tiny details of old plant stems are outlined in relief against the bright shiny snow. Shadows are a great reason to leave some plant stems standing for the winter. 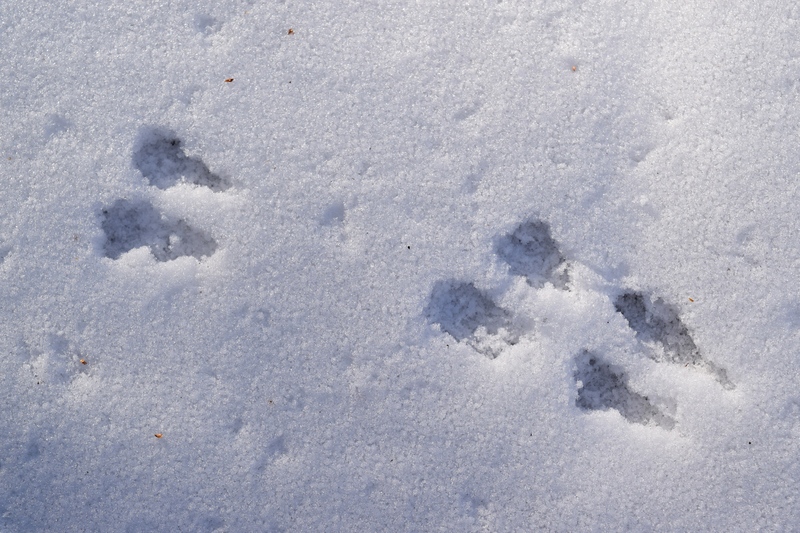 It also shows that animals that you thought were being kept out of the fenced herb garden are freely hopping through the garden. Mr. McGregor would be mad. Spring will be the time to fix the fence not now. The sun is low on the horizon in the winter producing long shadows from short herbaceous stems. With the lack of flowers on your hydrangeas last year, I wondered if you have covered the plants with fleece to protect the buds from frost this winter? No I didn’t cover the hydrangeas with fleece because last year was the only winter that killed the buds. I suppose that gardeners are the most optimistic people in the world because we always think that next year will be a better year in the garden! I hope that my optimism is not misplaced.